Citing the “shocking humanitarian abuses” carried out against ethnic Rohingya in Myanmar, authorities in the city of London are moving to revoke an honor given to the country’s leader. Members of the City of London Corporation – the municipal governing body of the City of London financial/historical capital – on Thursday triggered a process to revoke Myanmar leader Aung San Suu Kyi’s honorary freedom award, given in 2017, said a statement by the corporation. 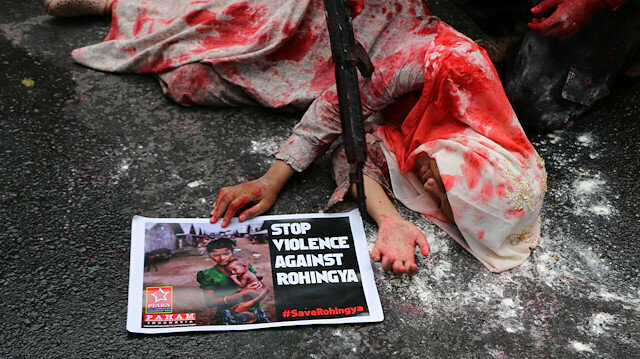 Suu Kyi, a Nobel Peace prize winner, has been accused of complicity in the ethnic cleansing of the Rohingya population. Her silence on the issue has attracted severe criticism from across the globe. “The City of London Corporation condemns the shocking humanitarian abuses carried out in Myanmar, and has already written to the Ambassador for Burma to express its profound concern about the current situation in his country,” the statement said.